Camp Bayou's Happy New Year! Camp Bayou&apos;s Happy New Year! Hey Tampa! Lisa here to let you know about a fun family outing on New Years Day! Surprisingly enough, the Tampa Bay Weather this weekend looks fantastic! New Years Day it&apos;s supposed to be 77! To enjoy the weather Camp Bayou will continue its first Saturday morning of the month, Family Naturalist Hour, this year, starting January 1st at 9:30am. You can stop in for a short walk, or look for wildlife along the trails. They are also offering a craft activity for you to complete after the walk, or when you get home. The best part of this, it&apos;s FREE. They always accept cash, snack, drink, or material donations though. This is a limited space situation so please call Dolly to make your reservation at 813-363-5438. If you don&apos;t think you can make it to this months session, have no fear! The first Saturday of each month a different program is offered. 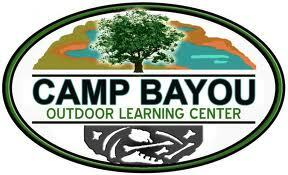 For those who don&apos;t know, Camp Bayou is neither a campground nor a summer camp. (Then what is it!?) It was an RV park before the land was purchased and turned into a space for school programs, youth groups, adult groups and families. Sounds like a fun way to spend the first morning of 2011!!!! That&apos;s all for now, but stay tuned for more Things To Do In Tampa Bay, and other Tampa Florida News Updates!